Notes: This title is also available on DVD. It was released individually and as part of The Premiere Collection boxed set (both with different cover art). This Blu-ray title is also available as part of a three film set entitled, The Classic Collection. This set has different cover artwork. While the dream elements of the film are certainly memorable (despite being edited down to almost nothing by Selznick), it is probably the on-screen romance between Ingrid Bergman and Gregory Peck that attracted most viewers upon the film’s release. Modern critics seem to agree that the film is uneven and that the psychological theories the film is based upon are both dated and overly simplistic. That said, it certainly represented psychoanalytical theories of the era and there was a consultant on the set to make sure that the psychology in the film was more or less accurate. (The consultant was Selznick’s own psychoanalyst, Dr. May Romm.) It seems unfair to judge the film on its somewhat archaic theories when the theories were relatively new at the time of the film’s release. “This writer has had little traffic with practitioners of psychiatry or with the twilight abstractions of their science, so we are no in a position to say whether Ingrid Bergman, who plays one in her latest film, Spellbound, is typical of such professionals or whether the methods she employs would yield results. But this we can say with due authority: if all psychiatrists are as fruitful as hers are to Gregory Peck, who plays a victim of amnesia in this fine film which came to the Astor yesterday — then psychiatry deserves such popularity as this picture most certainly will enjoy. …This story, we say, has relation to all the faith-healing films ever made, but the manner and quality of its telling is extraordinarily fine. The script, which was based on the novel of Francis Beeding, ‘The House of Dr. Edwardes,’ was prepared by Ben Hecht and the director was Alfred Hitchcock, the old master of dramatic suspense. So the firm texture of the narration, the flow of continuity and dialogue, the shock of the unexpected, the scope of image — all are happily here. Spellbound went on to receive quite a few Academy Award nominations (including nominations for Best Picture and Best Director), and won the Oscar for Miklós Rózsa’s innovative score. 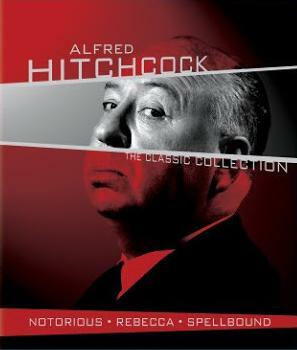 It is indeed interesting to see how many of Hitchcock’s films that were attacked by critics upon their release are now considered classics (or even masterpieces), while many films that were once praised have fallen from grace. Perhaps Spellbound isn’t among Hitchcock’s best work, but it is certainly solid entertainment. There is no menu on the disc. To access the special features or change the audio settings, one must do so while the film is already playing. This is rather bothersome and extremely inconvenient. Some people might not mind this issue, but this film deserves a much better presentation. This is certainly the best that Spellbound has looked on home video, but one cannot help but be slightly disappointed with this 1080p transfer. There is a fair amount of print damage, shadows are often a bit dull, and there are a few occasions of troublesome edge enhancement. Fortunately, none of these problems ever become distracting. As a matter of fact, the picture exhibits wonderful clarity and remarkable contrast. Grain levels also seem accurate for a film of this vintage. The Mono DTS-HD track is also less than impressive. There seems to be a very slight layer of hiss throughout the length of the track and there is also an occasional pop or crackle. These flaws are never distracting and it is perhaps unfair to expect anything better. Milkos Rosza’s score sometimes swallows dialogue, but this issue is obviously source related and should not be held against the actual transfer. Schatz and Berg’s discussion is both enthusiastic and lively. Their commentary often focuses on the structure of the film, but covers other territory as well. The downside of the track is that they also provide the occasional false statement (such as mistaking Saboteur for Sabotage). This short documentary focuses on Salvador Dali’s contribution to Spellbound. The dream sequence is discussed at length and experts also touch upon the artist’s background. Instead of focusing on the making of the film, this documentary touches upon the influence of psychoanalysis upon the production. Experts discuss some of the reasons that this subject matter made its way to the screen during this particular time. It should provide viewers with information that will enrich their enjoyment and understanding of the film. Rhonda Fleming discusses how she was discovered and cast in Spellbound. She also discusses some of her more recent charity projects. This is a brief excerpt of Hitchcock’s interview with Peter Bogdanovich. The audio plays over a blank black screen. Hitchcock is always interesting and this excerpt is no exception. The Theatrical Trailer for Spellbound is included and is more interesting than many trailers from this period. This radio play is interesting, but it has nothing on the actual film. The beginning of this feature includes a list of credits and then the audio plays over a blank black screen. 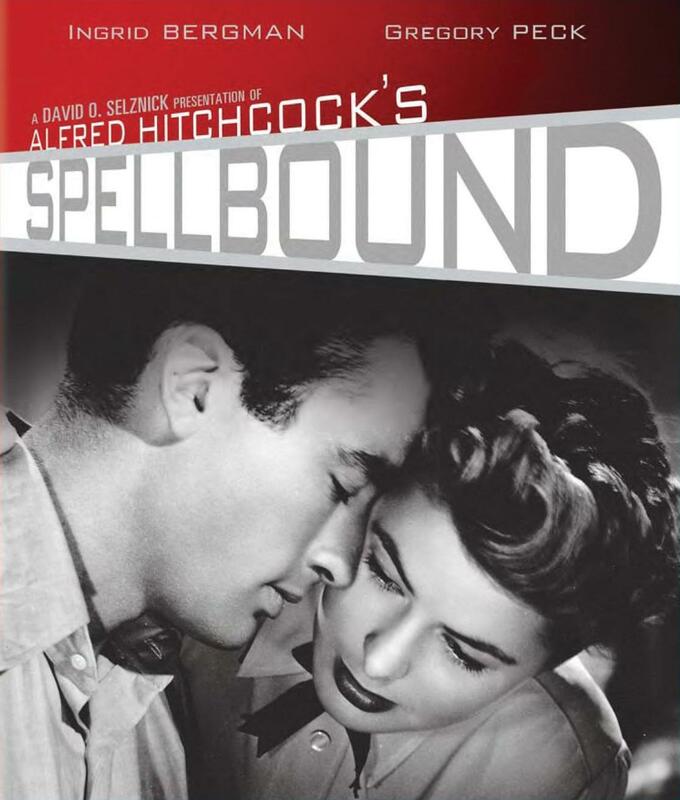 Spellbound is not considered one of Alfred Hitchcock’s better efforts, but it is quite charming and certainly worth including in your collection. If MGM’s Blu-ray release isn’t perfect, it is at least an improvement on previous home video transfers.